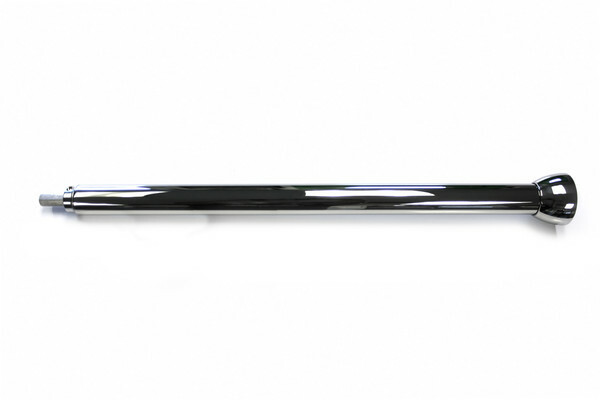 Hot rod steering column 33" 1-3/4" dia polished with horn. Built tough, with a sealed bearing at each end of a 1-3/4" stainless steel tube, and a precision machined hub heli - arc welded to the shaft. Comes fully polished with a machined stainless steel hub.Only comes in 1-3/4" diameter. Fits all universal 3 bolt style steering wheels. We measure our columns from tip to tip, so it's an overall measurement, 1" of exposed 3/4"-36 spline.We recommend you mock everything up in order to check header clearance.